Does trauma spark brazen acts? Are eyewitnesses accurate reporters? Can jurors distinguish truth from lies? Answer these and more in WRIGHTMAN'S PSYCHOLOGY AND THE LEGAL SYSTEM, 9th Edition. Real cases such as Bill Cosby and Dylann Roof illustrate the flesh and blood of the psychological issues considered in the book--from the motivations of offenders to discretion in sentencing. 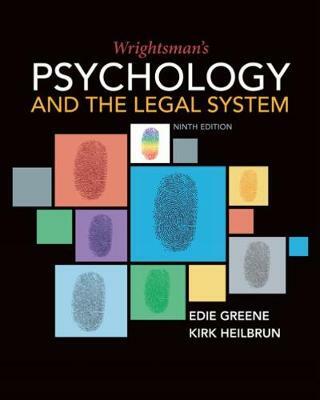 This book gives you an eye-opening overview of psychology's contributions to the legal system--and the many roles available to trained psychologists within the system.